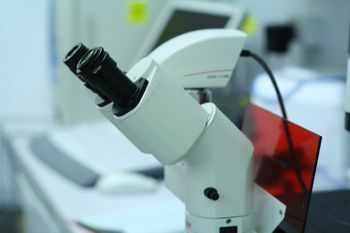 The Biomolecular Frontiers Research Centre aims to bring together diverse innovative approaches to the study of biological problems, using biomolecular analytical technologies. We are consolidating our research streams into a systems biology approach, which recognises that an organism must be viewed as an integrated network of genes, proteins, protein modifications, metabolites and biochemical reactions. This ‘new wave’ approach (still in its pioneering phase around the globe) extends analysis of individual components to the myriad specific interactions responsible for the ultimate forms and functions of a living system. Our members represent international and national leaders in their various specialties of biomolecular analysis. A declared focus on the ‘omics’ allows us to use our expertise and resources in building significant new impacts in industry-related applied research. Our joint ventures have led to many successful research outcomes and grant earnings in recent years. We have a strong record of collaboration with national and international biotechnology and medical researchers. Centre members have well-established international links, and we are seeking to rapidly expand these by working with high-profile overseas teams. Our Centre hosts a significant number of higher degree research students and postdoctoral staff members, several from internationally acclaimed labs. We have relationships with the University of Edinburgh, Northeastern University, Boston and the University of Southern Denmark.